Neville Marriner was the first music director of the Los Angeles Chamber Orchestra, from 1969 to 1978. From 1979 to 1986, he was music director of the Minnesota Orchestra. He was principal conductor of the Stuttgart Radio Symphony Orchestra from 1986 to 1989. Marriner has recorded for various labels, including Argo, L'Oiseau Lyre, Philips and EMI Classics. His recorded repertoire ranges from the baroque era to 20th century British music, as well as opera. Among his recordings are two CDs of British music for Philips Classics with Julian Lloyd Webber, including acclaimed performances of Benjamin Britten's Cello Symphony and Sir William Walton's Cello Concerto. 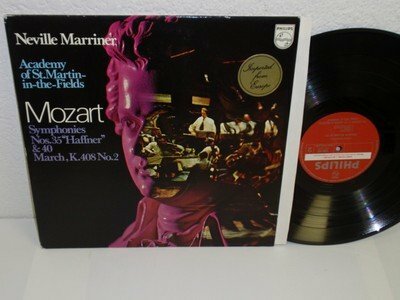 Marriner also supervised the Mozart selections for the soundtrack of the 1984 film Amadeus.